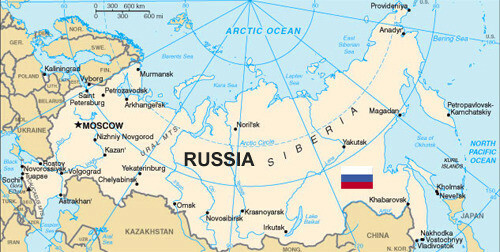 Eighty-three percent of Russians say they’re not interested in moving anywhere outside of the former Soviet Union, the independent Levada Center pollster revealed, noting that this represented the highest such figure since the end of the Soviet era. Another 81 percent of respondents said they never even think about the option of moving abroad, and only 12 percent expressed a desire to relocate somewhere beyond the former U.S.S.R.
Levada Center director Lev Gudkov attributed the increased numbers to “powerful state propaganda, the government’s full control over the information space, and an absence of large-scale public discussion,” according to a statement posted Friday on the pollster’s website. Gudkov noted that even the country’s severe economic downturn – which has seen the ruble plummet against the U.S. dollar over the past year and led to crippling inflation – is not driving Russians to flee. “The worsening economic situation has not reached a critical level whereby it would entail an evaluation of the political environment,” Gudkov said in the statement. Only about one in 10 respondents said they might enjoy living abroad, while just 5 percent said they regularly think about leaving. Gudkov said that the few Russians with the desire to live abroad forever are usually those who have already achieved a certain level of success. “This is a very unique contingent, the most well-off groups of people. They are educated, have made money and see social capital for their departure,” he said. The statement also cited the head of the prestigious Higher School of Economics’ Institute of Demography, Anatoly Vishnevsky, as saying that propaganda on television instills fears in Russians about living abroad. The Levada Center, a respected pollster founded in 2003, said the survey was conducted among 1,600 people across Russia, and had a statistical margin of error that did not exceed 3.4 percent.